“There’s nothing you can do about it but complain,” Alex Gillis said. So that’s what he did. He complained after The Walrus, a well-known Canadian magazine, took his story idea. In March, the Ryerson journalism lecturer and freelance writer pitched his idea on students cheating in Canadian universities to the magazine. His editor, Kyle Wyatt, approved his first draft on Aug. 17, but when Gillis handed in his second draft two weeks later, he was given an ultimatum — either he keeps his byline but has the piece rewritten by The Walrus, or receives a 50 per cent kill fee. Gillis said he worked a minimum of two months and chewed up a two-week vacation that he was supposed to spend with his family. Six weeks later, the freelancer’s story was on the cover of The Walrus’ November issue. The byline? That’s when Gillis posted his “Warning at The Walrus” message on Toronto Freelance Editors & Writers (TFEW), a private online group for Toronto freelancers to communicate. Editor-in-chief of The Walrus, Jonathan Kay, responded to the post in the group, admitting his lack of experience as an editor. Wyatt was fired shortly after. Kay was contacted for additional comment to the story but he said his response on TFEW was enough. Gillis said he has not been in contact with Kay or Wyatt since his complaints to both editors. The feature-writing lecturer says that idea theft doesn’t happen often to writers in the journalism industry. What usually happens is that “more experienced journalists will pitch an idea long before the beginning months.” Gillis said. So experienced journalists would be working on the story by the time a fresh writer sends the idea. For example: Gillis pitched his academic cheating story to The Walrus in March for his piece to be published in the magazine’s November issue. But when idea theft does happen, Gillis said writers should “talk to your editors, confront them respectfully and find out what happened, and stand up for yourself” and take no abuse. Since Gillis and Kay’s phone call, the “Busted” piece by Wyatt has been removed from The Walrus website. 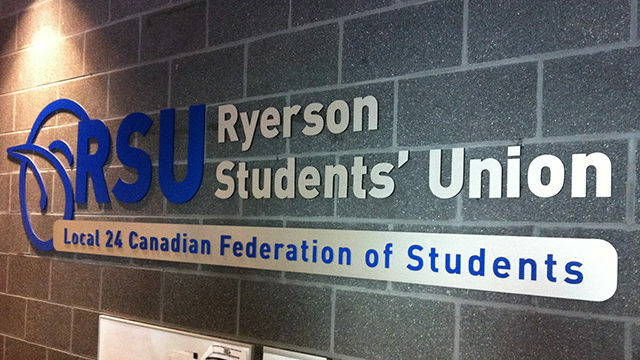 Gillis told The Ryersonian he is receiving the full $6,000 for his research on academic cheating from the magazine. “It’s really heartening to see that Jon Kay, the editor of The Walrus, does want to improve things a lot,” Gillis said. A timid turtle that loves sweets, she loves broadcast and has experience in digital. She was recently a writer for W Dish. You might check your timing. Wyatt left The Walrus before Gillis posted on TFEW. And Kay edited Wyatt’s piece.